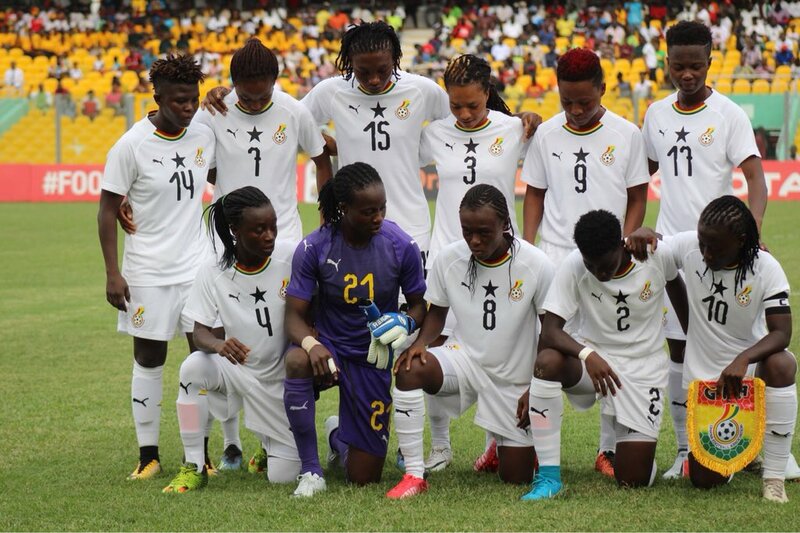 The Professional Footballers Association of Ghana(PFAG) has urged the senior national women’s team, the Black Queens to look forward to better days despite the disappointment of their AWCON 2018 elimination. The Queens, three-time silver medallists in the competition, were held to a one all draw by the Indomitable Lionesses of Cameroun on Friday. The result, coupled with Mali’s astonishing come-from-behind 3-2 victory over Algeria, denied Ghana a spot in the semi-finals at this year’s tournament. An opening day victory over Algeria, followed by a narrow loss to Mali, and last night’s hard-fought draw with Cameroun, left the Black Queens in 3rd place in Group A with four points. Cameroun finished top on seven points, with Mali second on six. Whiles the PFAG shares in the disappointment and heartache of all Ghanaians, we are confident that the entire management and playing body has what it takes to bounce back stronger. We believe our Black Queens gave off their all as they battled gallantly to bring honour to the nation, and with such determination and hard work, better days are sure to be here soon. We also extend a pat on the back to all Ghanaians for their massive unwavering support for the team. We wish the remaining participants and the organizing team all the best in what remains of a memorable AWCON 2018! !